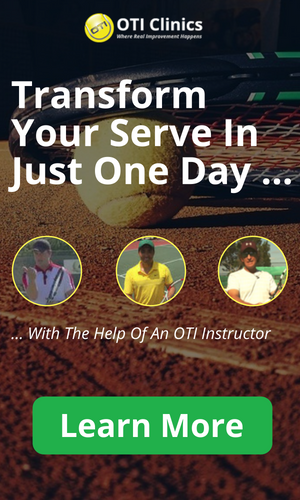 The type of tennis court surface that you play on can have a major influence on how the game is played as well as on the effects of Tennis on your body. There are basically three major types of court surfaces: Hard Courts, Grass Courts, and Clay Courts. All three have their benefits and all three result in a very different bounce of the tennis ball. In the United States Tennis is played primarily on hard courts. These courts are made out of an asphalt or concrete base that is coated with different materials. Hard-Courts are also the most common court surface on the Professional Tennis Tour. Generally hard-courts are considered relatively fast court surfaces that suit players with big serves and big forehands well! In recent years though, a lot of the hard-courts on the Pro Tour have become considerably slower. Most of the public hard-courts in the United States are still rather fast though. The ball bounce can also vary a lot depending on the type of hard-court. 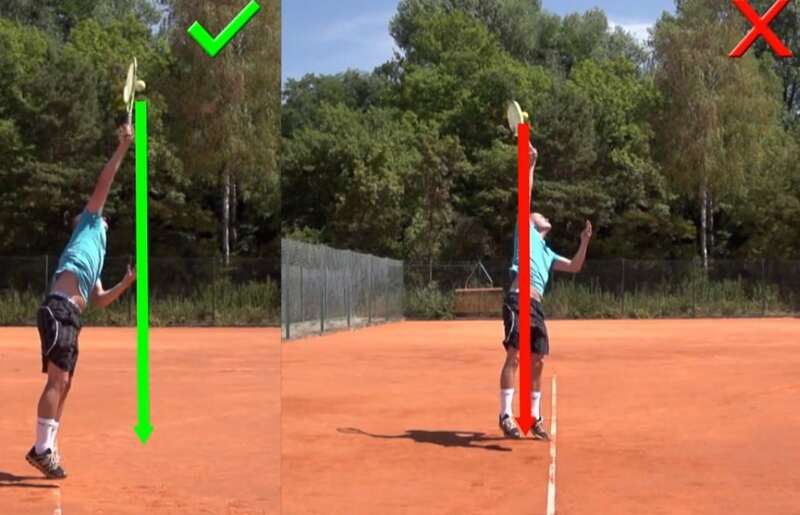 Some hard-courts have a very high-bounce where topspin players can be quite successful and others have a lower bounce where the ball skids more. Grass is the surface that Tennis was originally played on. The courts are very expensive to build and maintain and therefore nowadays grass courts are very rare to find. Unfortunately very few tennis players actually get to play Tennis on grass courts in their lifetime. On the Pro Tour the grass court season is very short these days and lasts only 4 weeks. Wimbledon as the most prestigious tennis tournament in the world though is still played on grass courts! Exciting Grass Court Tennis At Wimbledon! Until a few years ago, grass court tennis was dominated by offensive serve-and-volley players. Nowadays most players play from the baseline. Supposedly the grass courts have been slowed down a bit but certainly a change in rackets and balls has played a major role here as well! Last year I played on real grass courts myself when I was working as a coach at the ITF junior tournament in Halle, Germany. In the beginning it was very difficult to get used to the surface. The balls bounce extremely low and it takes a while to get used to it. Because of the low bounce you need to stay very low all the time with your knees bend even more than usual. For me that resulted in some good soreness the day after training on grass! I think that serve-and-volleying and coming to the net in general is still a great strategy on grass courts. By taking the ball out of the air you take the uncertainty out of the bounce! Traditional Grass Court Tennis – Coming In To The Net! Red Clay Courts are very popular in Europe as well as in South America. Clay is the softest surface that tennis is being played on. It is very forgiving and is the easiest surface on the body. It is often said that when you play on clay, you learn to really construct points well. On clay it is not so easy to hit a winner. Usually it takes a combination of good shots to get the opponent in enough trouble to finish the points. This is one of the reasons the USTA now wants to have its best junior players train more on clay! The disadvantage with clay courts is that they need a lot of maintenance! Especially the red clay courts in Europe where the weather is not so good need to be worked on a lot at the beginning of the season. Additionally they need a lot of water on a regular basis! On clay you can have a lot of bad bounces, depending on how well the courts are maintained. If the courts are not well-maintained, then the surface will be a bit uneven and some bounces will be unplayable. At tournaments like the French Open where the courts are really well-maintained though, there are almost no bad bounces at all. The reason clay reduces the risk of injury is that you can slide on the surface. The sliding reduces the amount of turning and twisting that can cause so much trouble for your joints, tendons, and muscles! Clay is certainly the tennis court surface that is easiest on the body. That is probably why it is so popular among senior tennis players. Hard-courts have the best bounce, are easy to maintain, and allow offensive as well as defensive players to be successful. Grass-courts are expensive, rare to find, and best suited for serve-and-volley players and net rushers in general! With the amount of injuries that tennis players are suffering these days, I believe that more and more Tennis should be played on clay courts and less on hard courts!